A special recognition for our Top 15 Contributors for 2016 who have helped make Autism Parenting Magazine an award-winning magazine. A leading attorney and autism/children’s rights advocate shares the vast need for the education and training on autism of police officers, prosecutors, judges and correctional officials. A mother tenderly looks back at her son’s amazing journey with autism. The director of the Emergency Preparedness Initiative at UMass Medical School’s Eunice Kennedy Shriver Center shares the value of emergency planning when you care for someone with special needs. A mom beautifully describes what makes her daughter with autism special. Excellent advice for parents on ways to embrace self-care from a therapist who provides direct support to individuals affected by ASD. The mother of a young boy with autism shares her tips for creating successful opportunities at social gatherings. A Certified Occupational Therapy Assistant reveals six simple tips that helped her life as an autism mom. A mother of a young man on the spectrum shares her tips for maximizing the tele-conference course experience for students with autism. A mother describes the positive impact the Doctor Who franchise has had on her young daughter with autism. 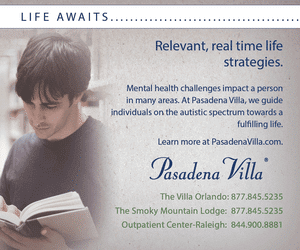 Simple tips on ways to avert emergency situations when caring for someone on the autism spectrum. A certified professional coach shares ways the whole family benefits when parents are coached while raising teens with autism. Learn about a Mexican puppet maker who made a meaningful connection to a child with autism through his special, handmade dolls. Discover simple ways to better connect with your child using his/her peripheral vision. 8 Important IEP Decrees the School Owes You Now! Use these key points to help advocate for your child with autism and ensure he/she receives the quality education deserved. Excellent tips on how to prepare your child with autism and your church family for worship. The Chair of the Anderson Center for Autism Board describes the rewards of serving a nonprofit and encourages people from all walks of life to become involved. Take a look at the book High-Functioning Autism and Difficult Moments: Practical Solutions for Reducing Meltdowns as authors Brenda Smith Myles, PhD and Ruth Aspy, PhD share strategies for minimizing the sometimes-frightening circumstances surrounding meltdowns. A lifelong artist and art educator shares the continuous rewards of working with a dynamic young man who is on the spectrum. Interesting research regarding the role fathers play in the lives of children with autism according to a study performed by Leeds Beckett University. Great professional advice on ways you can set your child with autism up for success by teaching him or her how to cope with disappointment. Is the ABLE Account the Right Savings Tool for My Child with Special Needs? Expert advice regarding the pros and cons of opening an ABLE Account in an effort to provide long-term support for your child. This warm salad is not only delicious but a healthy choice. Every new year, in good faith, I make a long list of mental resolutions. After much reflection, I produce an impressive collection of mostly unreachable goals. January starts off well, and then, lo and behold, life gets in the way. It isn’t long before my best intentions have evolved into a long list of letdowns. Now, people have warned me of the dangers of setting unrealistic and unachievable goals. Instead of being a tool for motivation, these kinds of resolutions rapidly evolve into enormous stressors. I have to ask myself, is this really healthy? So this time I am adopting a new perspective. Please join me in taking a little bit of a different approach toward 2017. Instead of setting specific goals, what if we committed to making broader changes in strengthening our lives? Let’s conquer the future by better caring for ourselves as parents, by celebrating our families more, and spreading autism awareness and compassion in our communities. Let’s pledge to do better—for our families. 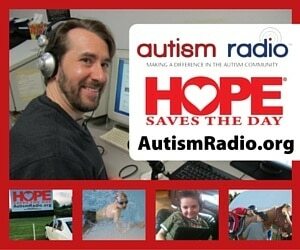 The more we talked to doctors, autism experts, child advocates, and parents in search of advice for the new year, the more excited we became about spreading this message. This is definitely an issue you won’t want to miss. One way we can improve our lives is to educate ourselves as parents. Please take a look at the article, The Time is NOW: Family Emergency Preparedness with Special Needs, as Sue Wolf-Fordham, director of the Emergency Preparedness Initiative at UMass Medical School’s Eunice Kennedy Shriver Center, shares the value of emergency planning. Her piece will certainly make you think twice about being vigilant and equipped for the future. 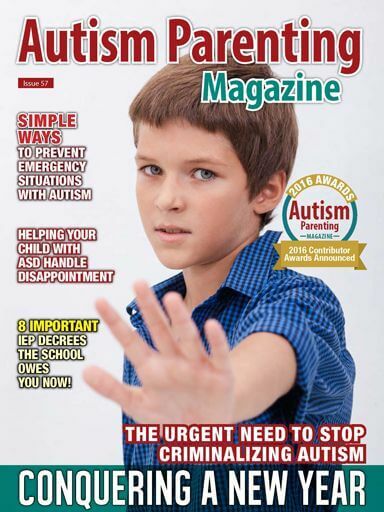 We also are happy to share Joyce Benjamin’s piece, Easy Ways to Prevent Emergency Situations with Autism as the Registered Nurse highlights potential urgent situations, along with tips on ways to handle them. Being prepared also includes staying on top of your child’s education. Be sure to read Debbie Gelinas’ article called 8 Important IEP Decrees the School Owes You Now. As the founder of IEP Coaching & Advocacy, Debbie has provided key points you need to know in order to successfully advocate for your child with autism and ensure he/she receives the quality education deserved; her information is vital. 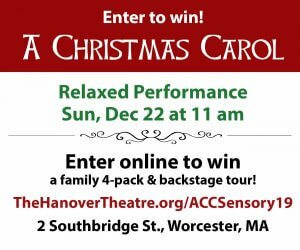 Another important topic includes finding ways to make outings easier for the whole family—especially when it comes to attending church services. The reality is, according to occupational therapist Cara Koscinski, parents of children with special needs often do not attend church regularly out of fear of being judged by others. Her piece, Ways to Include Your ASD Child When You Head to Church, will help you prepare your child with autism as well as your church family for inclusive worship. There are useful tips for everyone, from creating a special ‘church box’ and selecting a ‘church buddy’ to finding ways to educate the congregation on autism. As you devise ways to care for your family in the new year, please don’t forget to care for someone equally important–yourself. Take a look at Chris Nealy’s piece, The Critical Need for Self-Care: The Oxygen Mask Rule, as the co-owner of Halcyon Mental Health provides excellent advice for parents on simple ways to embrace self-care. And because reducing tension is so vital to health, we also present the advice of pediatric-adult occupational therapy provider Kendra Garcia. Be sure to read Autism Mom’s Self Care: 6 Quick Ways To Reduce Stress and Gain Clarity as Kendra reveals six simple tips that helped her life as an autism mom. 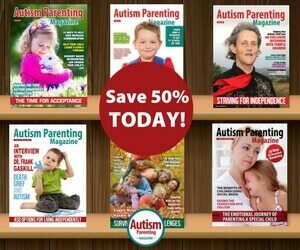 As I have mentioned over the years, one of the most rewarding aspects of acting as Editor-in-Chief of Autism Parenting Magazine has been connecting with our readers as they share their concerns as well as their dreams. We recently received a letter from a reader whose young son with autism was needlessly victimized because a substitute teacher failed to recognize his sensory issues. The mother’s concern was real, as so many children with special needs face similar challenges every day in the classroom. In an effort to provide top advice, we reached out to Areva Martin, a leading attorney and autism and children’s rights advocate. Please take a look at her piece, The Urgent Need to Stop Criminalizing Autism, as Areva responds to the concern in addition to sharing her view on the vast need for the education and training of police officers, prosecutors, judges and correctional officials. In addition to the latest news and professional guidance for you and your child, we are immensely proud to highlight our top contributors for 2016. 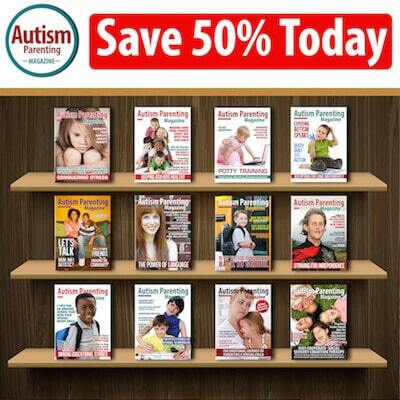 Autism Parenting Magazine has grown enormously over the years, and we know that has been made possible through the commitment of hundreds of dedicated physicians, scientists, educators, families, and our writers who are on the spectrum. Together, we make a difference. So let’s forge ahead into the new year, working fearlessly to conquer the future. Wishing you the love and support you need as you strengthen your family and life.